I've been making a similar recipe to this for a while now, I think it's from Hearty Vegan Recipes and I love it. I've never used it in risotto though, such a good idea. I can't wait to see the recipes you have coming up and I may just have to give your smoked version a go. Oooh! I've made something similar with cashews, but I think I would prefer almonds. They're hella cheaper for one thing! Omg.. I just have to say that I LOVE your blog! 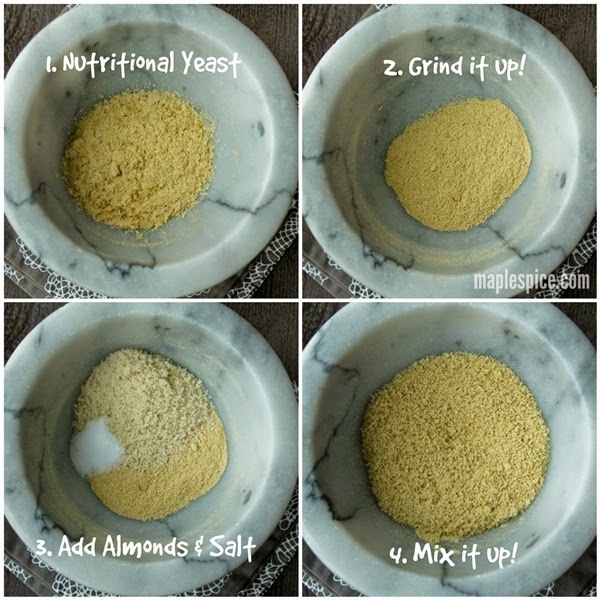 I really like your recipe for vegan Parmesan, I've never thought of this! 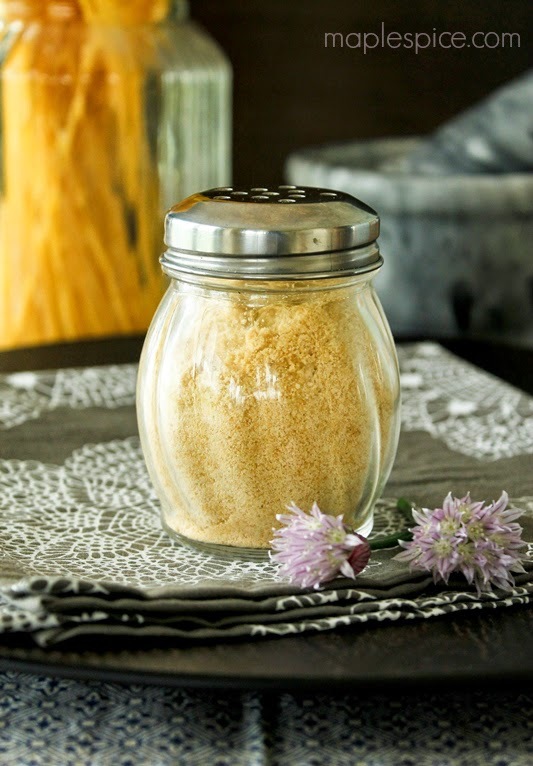 We love Nutritional Yeast, but I never thought of adding it to other ingredients for a more cheese-like texture and taste. Thanks! Ok, I am making this this afternoon (after baking the almond feta yesterday, for the 5th time, this time for.. a Japanese chef! He was very surprised but I think it passed the test :)!). Hi Kari! 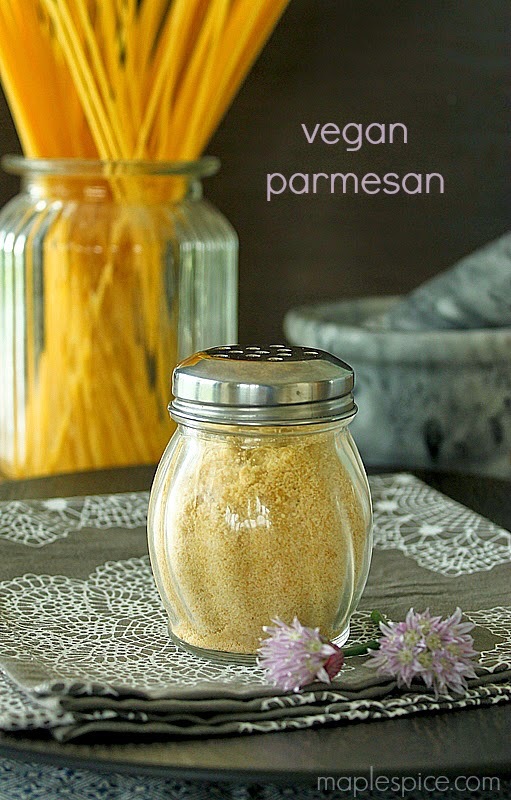 Sorry for the late reply here....There's no need to refrigerate the parmesan, I keep a larger jar of it in my pantry and a smaller shaker jar of it on the table with the salt and pepper :-) I've only found nutritional yeast in health food shops here in Ireland and in the UK but perhaps larger grocery stores may stock it. I've actually lately been buying mine on Amazon as it's cheaper! Hope you find some and like it!